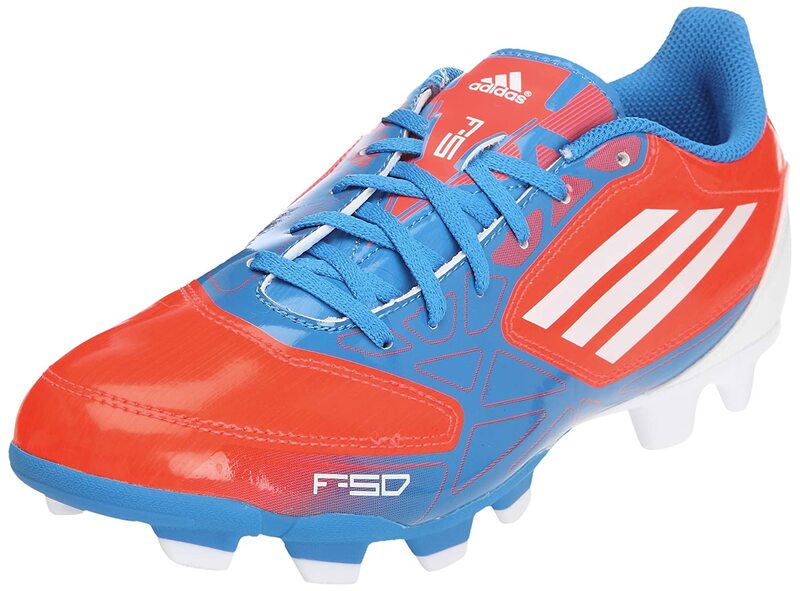 These are the adidas Mens F5 TRX FG Football Boots in vibrant shades of red and blue. No ordinary football boots, these lace-ups feature ground moulded blades, a reinforced heel, as well as TRAXION studs for extra grip and speed and an EVA insole for comfort. Note the trademark adidas 3-stripe branding to the side of these football boots. Synthetic upper and sole, textile inner. These are authentic Mens Football Boots at a great discounted price.